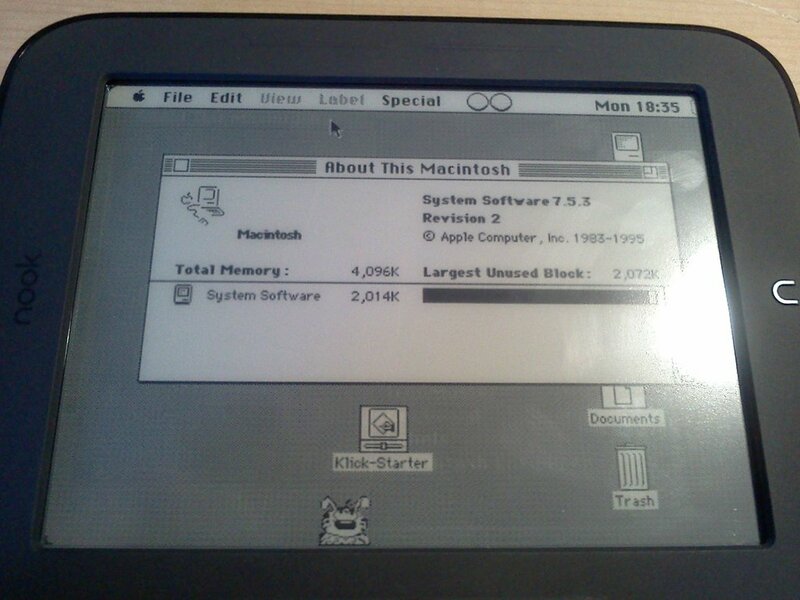 Nook Touch Hacked To Be A Classic Macintosh! 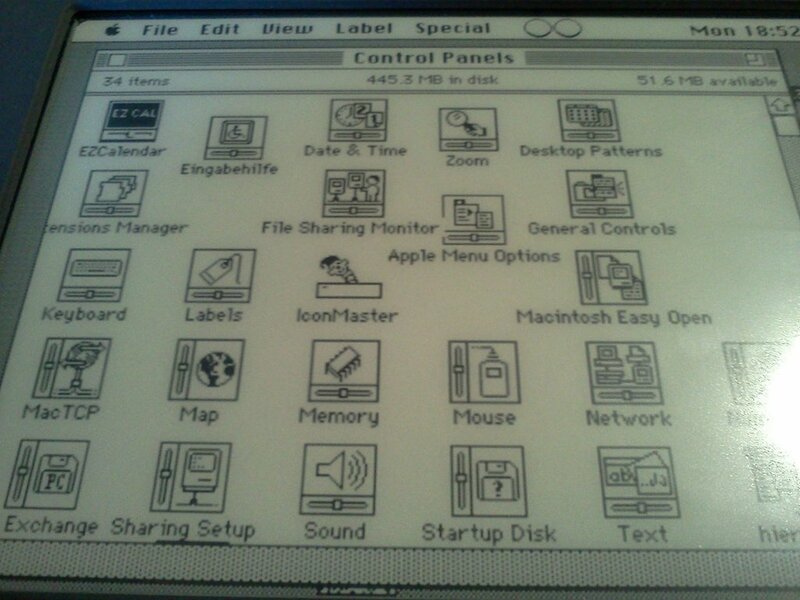 I have had an Impossible Dream: Nook Touch Macintosh: An Impossible Dream? 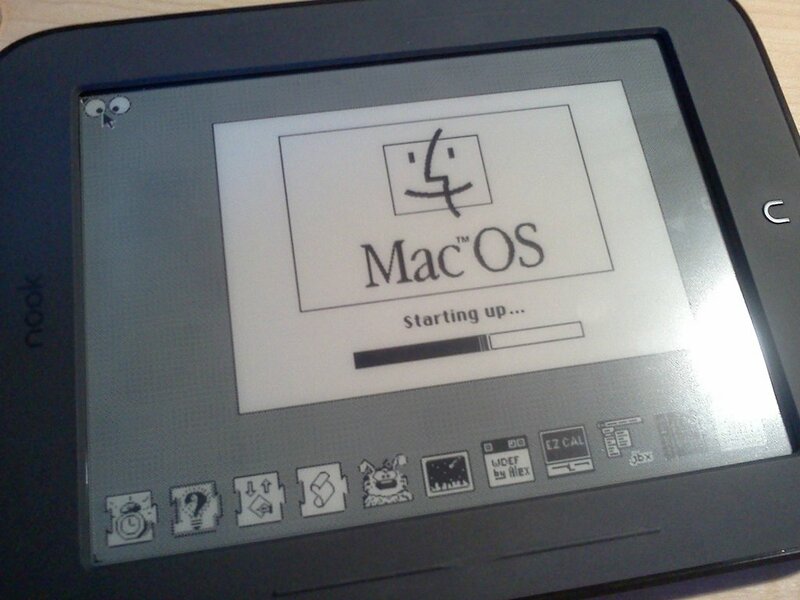 And then I had a hint that the dream came true: Nook Touch Macintosh Achieved? And today the realization of that dream has been confirmed! Flying Toasters on a Nook Touch! Macintosh veterans will immediately recognize that classic screensaver! Update: I see people have jumped to the conclusion that these photos are of my Nook Touch. No. These are by Mini vMac for Android user FlyingToaster, who I link to below. Both 7 and 7.5 work fine but I prefer 7 because the older B/W games and stuff don’t crash as often (corrupting disk image) It’s not fun starting over. The scaling is a little too large, if the scaling was fixed it would be 8-O 10/10!! 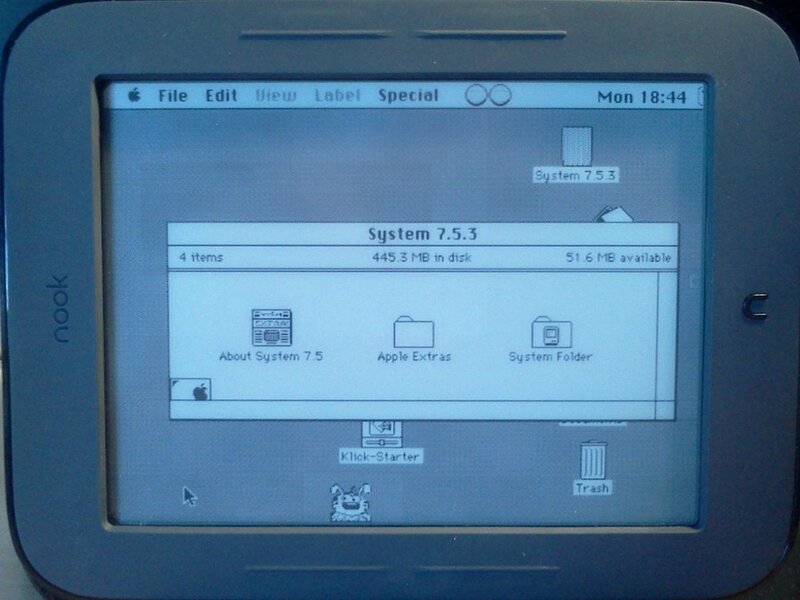 Mini vMac II (the paid version) is WAYYYY better. Scaling works normally on the nook and 256 colors!! (grays on the nook..duh) It is fantastic! 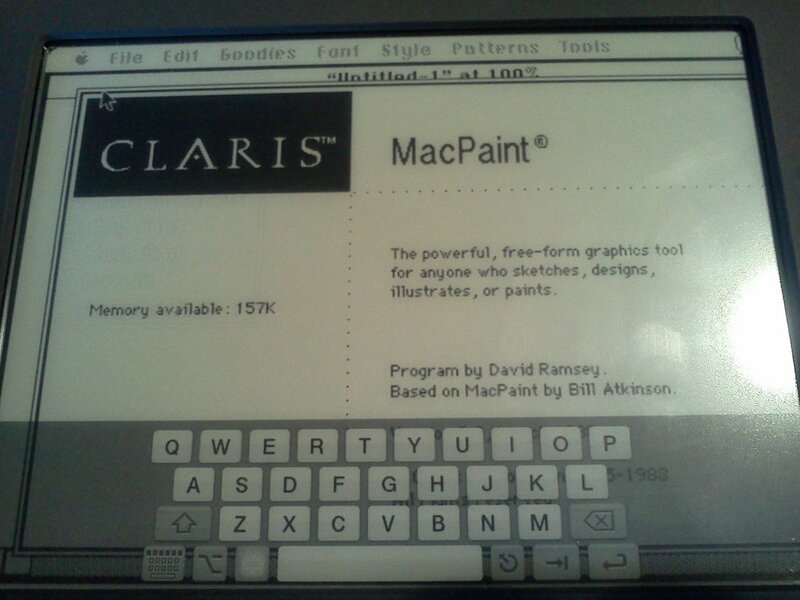 Use/play just about any mac 68k application on the nook. For $2, its the cheapest mac with the least hassle I have ever obtained! So there it is, finally. 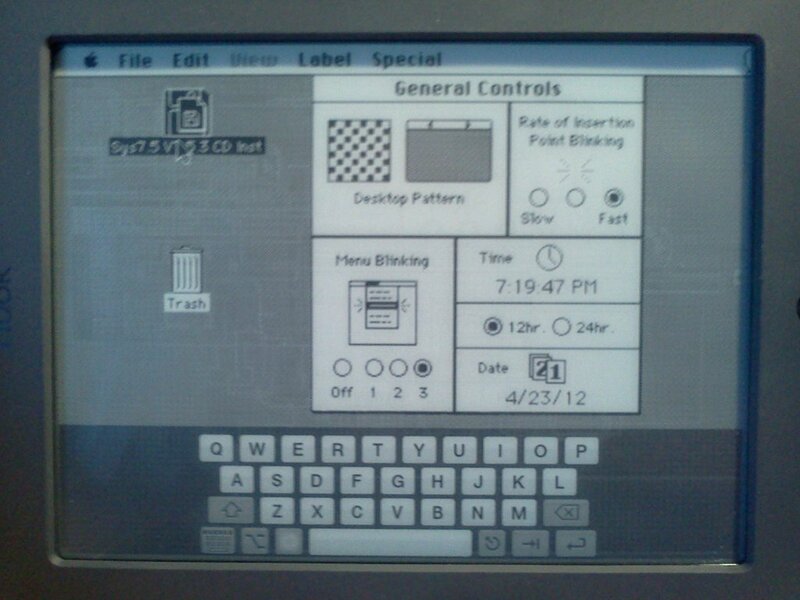 Proof that Mini vMac for Android can turn a Nook Touch into a Classic Macintosh. 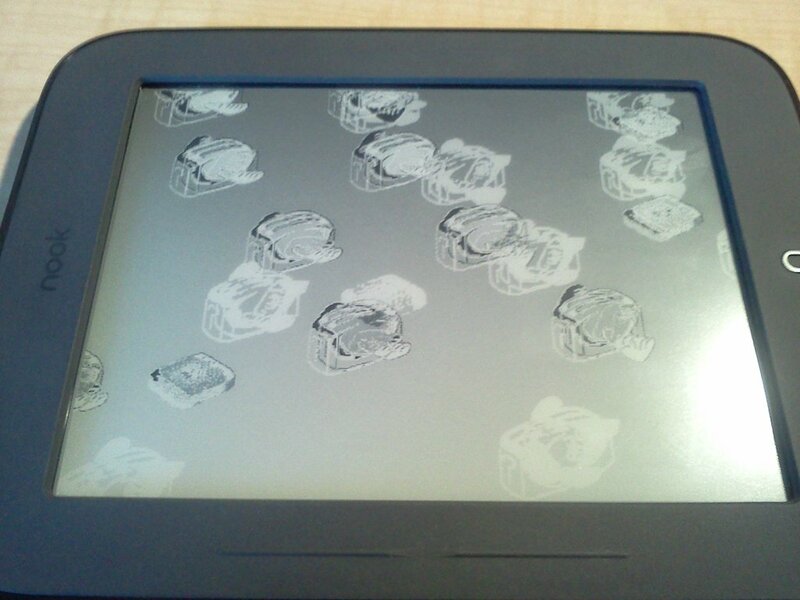 That really does make the Nook Touch the best damned eInk device out there. And don’t miss Renate’s Ultimate Hacked Nook Touch. Yeah, is that neat or what? I’m with Ian. I’ll even add an ‘F’ into there. If this will play “Dark Castle” or “Hellcats over the Pacific,” I am so there.